Having safe stairs is imperative for both a job site and permanent locations. Sure-Foot’s BOLD STEP® aluminum stair treads are practical and ensure stairs are protected from unwanted slips and falls. BOLD STEP products are made to order and ready to install upon delivery. 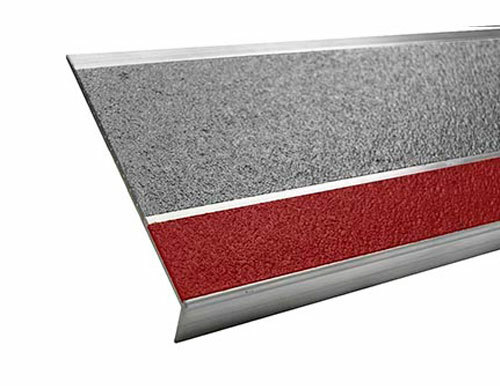 Try out the 9” Red & Grey Double Cavity Aluminum Stair Tread for renovation stairs, in a building or outside.